The Arizona Lottery has been going strong since 1981 and continues to improve based on prize payouts, financial support for the retailers involved, and the state agencies that depend on funding from the proceeds. By law, at least half of the lottery money must be paid out in prizes. The Arizona Lottery funds a wide variety of public projects and programs, including transportation, health care, parks, education, arts, wildlife and historic preservation all over Arizona. In 2011 Arizona's General Fund received over $146 million. Among the most popular lottery games you can play in Arizona, The Pick, Fantasy 5, Pick 3, and Weekly Winnings are exclusive to the state while Powerball and Mega Millions are available to residents of multiple states. To play the Arizona lottery, you must be at least 21 years of age or older, and you can only buy Arizona lottery tickets at a participating Arizona Lottery retailer. Legitimate Arizona lottery tickets cannot be purchased over the phone, by mail, or on the Internet. If you're looking for an Arizona-specific way to press your luck, you can check out the Arizona $1 jackpot game, The Pick, or try different numbers every weekday night for Fantasy 5. Drawings for The Pick are held each Wednesday and Saturday night while Fantasy 5 drawings are held Monday through Saturday evenings. The minimum jackpot for each drawing of The Pick is $1 million, and for Fantasy 5, the jackpot starts at $50,000 but grows nightly until someone matches all five numbers and wins. You have 60 days to decide whether you'd like a 30-year annuity or a lump-sum cash payment of approximately half the amount of the announced jackpot. Approximately one in every 10 tickets will be a special ticket that will double any winnings, except the jackpot, on that ticket. It doesn't cost anything, it's random. The winning game plays on a ticket designated as "THIS IS A DOUBLER TICKET!" The Arizona Lottery game Pick 3 is a $2 drawing game you can purchase tickets for every day, with drawings taking place nightly from Monday through Saturday. Straight means three numbers in the exact order drawn. Box means three numbers in any order. Box play has two options: 3-way, where two numbers selected are the same, and 6-way where three different numbers are selected. Straight/Box means three numbers in either exact or any order, but you win more if the numbers are drawn in the exact order. Front Pair means the first two numbers are in the exact order. Back Pair means the last two numbers are in the exact order. You can play the same numbers up to 12 consecutive drawing dates on the same ticket. Just tell the retailer at the time of purchase or mark the appropriate box on your selection slip. If you're looking for instant cash gratification, you can purchase a scratch card, or scratcher, at any licensed retailer (which often include gas stations). Scratchers can be played every day, multiple times per day and are instant-winning tickets. There are always many different Scratchers games offered by the Arizona Lottery. Scratch cards have different denominations ranging from$1 to $20 games, each of which carries a bigger prize, which range from $1 to $1,000,000. You can buy Scratch cards tickets at any Lottery retailer, but you might not find all games at every retailer at any point in time. Powerball and Mega Millions are multi-state lotteries. Drawings for Powerball are held each Wednesday and Saturday night, and drawings for Mega Millions are held each Tuesday and Friday night. The minimum jackpot for each drawing of Powerball ($2 per ticket) is $40 million, and the minimum jackpot for Mega Millions is $12 million. Let the computer select the numbers randomly. Fill out a selection slip at a participating retailer and choose your own numbers. Choose your own numbers for just the white numbers or just the Powerball number and ask for a Quick Pick for the other number(s). Play the same numbers (or Quick Picks) for up to 10 consecutive drawing dates on the same ticket by telling the retailer at the time of purchase or marking the appropriate box on your selection slip. You can multiply your prize by marking the Power Play box on the front of the selection slip or by asking the cashier for the Power Play option. For an extra $1 per game, your winnings (except the jackpot prize and Match-5 Bonus Prizes) can be multiplied by a number from two to five, which is randomly selected at draw time. For an extra $1 per game, you can multiply your winnings (except the jackpot) up to five times based on a number from two to five randomly selected at draw time. You can usually catch the live drawing for the Arizona Lottery on local news stations, but if you miss the live broadcast, you can also visit a participating Arizona Lottery retailer to check. Additionally, you can go to the Arizona Lottery website the following day, or check Powerball or Mega Millions individually online. If you won a prize of up to $599, any Arizona Lottery retailer can redeem the ticket for you. However, if you won $600 or more, you must complete a claim form and submit it either in person or by mail to the Arizona Lottery office. 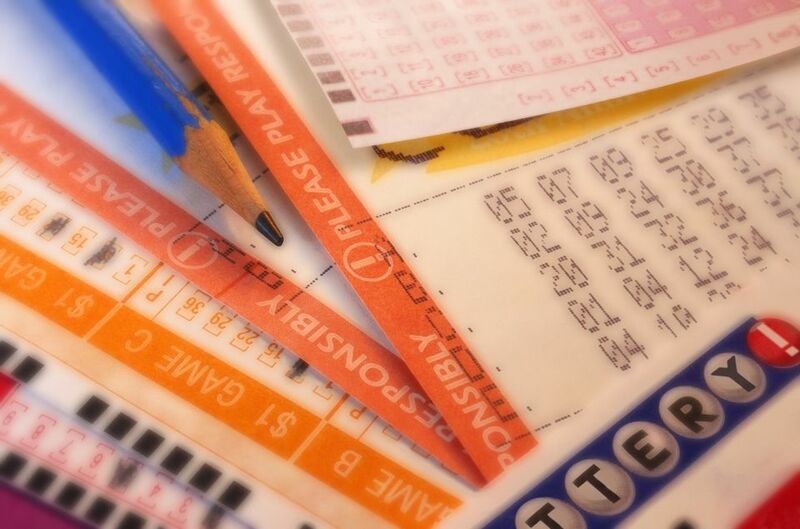 Additionally, because lottery winnings of over $600 are taxable, the Arizona Lottery may withhold taxes on your earnings or report your winnings, depending on the amount you receive. For scratch cards, you have up to 180 days from the announced game ending date to redeem your prize, and for The Powerball, Mega Millions, The Pick, Fantasy 5, 2 By 2, Ca$h 4, and Pick 3, you also have 180 days from the date of purchase to claim your prize. If you win a jackpot, you have 60 days to decide whether you'd like a 30-year annuity or a lump-sum cash payment of approximately half the amount of the announced jackpot. After 60, days you can only receive the annuity.